Britain's busiest airport has apologised after a computer glitch left some passengers without their luggage for five days. The problem at Heathrow Airport's Terminal 5 started on Thursday (June 26), affecting British Airways customers departing the premises over a four-day period. They had to travel without hold luggage because manual processing resulted in a few bags not meeting flight departure deadlines. While normal T5 baggage check-ins have restarted, not every passenger has been reunited with their bags. This is where travel insurance can give you peace of mind for unforeseen circumstances. 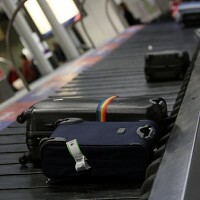 A Heathrow Airport spokeswoman said on Tuesday (July 1) that it will be many days before every passenger is reunited with their baggage. She added that staff have worked 24/7 in partnership with airlines to help passengers get their bags back as soon as possible. A spokesman from British Airways said the airport is "very sorry" about the longer-than-anticipated disruption passengers have faced. He continued to say that they "fully understand" the frustration caused by the glitch. The airport has used a variety of other methods to ensure disruption is kept to a minimum over the four-day period during the computer glitch. He said that the delays may take many more days because of worldwide travel's nature plus a variety of complicated customs and security rules in various countries. The spokesman added that T5 routes are going ahead as usual. He said that passengers should continue checking in their baggage as normal but recommends that they carry any key items via hand baggage. T5 suffered a bad opening in 2008 with thousands of baggage items going missing, cancellations and lengthy delays.